Please notice that we paused our monthly price updates until our all new whisky database goes online. We plan to get the new database up and running until July. 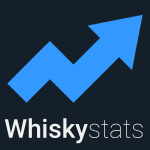 In the mean time there will be no new price observations added to Whiskystats. Sorry for any inconvenience this may cause! Another round of whisky auctions went by. Thousands of bottles changed their owners and as every month, we have collected this data and now summarize the results for you. This is the price update for January 2016. We are heading towards that time of the year in which the secondary whisky market is the most active. Some Feis Ile bottlings dominated this round of auctions in terms of traded bottles, while a 12yo Speyburn continues to achieve astonishing prices. 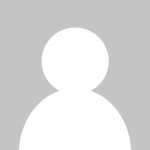 This topic contains 4 replies, has 2 voices, and was last updated by Seb Sebsensen 9 months, 1 week ago. How”s the work on the new DB going, any news? we already imported all of the prices from WhiskyAuctioneer (new!) and ScotchWhiskyAuctions. The Whiskystats 2.0 database already includes 220.000 price observations of 30.000 single malts. We are currently importing (match price observations) of WhiskyAuction. Then we have to match the whiskies from the old database to the new ones so to ensure all of your collections will be transfered smoothly. Do you think you could create a script which helps finding implausible price developments? If so please contact me at contact@whiskystats.net for details. sorry for the late teply, I”ll get back to you on monday, currently on the last days of our vacations.